Vertigo is a common symptom presenting in chiropractic patients, especially after head and neck trauma, and in most cases is a treatable condition. It is most common among the elderly, but it can also affect men and women of all ages. Often, it is an early symptom of an inner ear or neurological problem. Vertigo and dizziness can be upsetting, uncomfortable and a very disabling complaint. It is a sense of dizziness or spinning while stationary, sometimes associated with symptoms such as nausea, tinnitus, vomiting, sweating, fatigue and headaches. Click here for "WebMD: A Visual Guide to Balance Disorders"
Click here for "Are Your Ears Ringing? It Might Be Tinnitus"
Click here for additional 'Tinnitus' information"
Click here for infographic "wikiHow to Relieve Tinnitus"
There are two types of vertigo that chiropractic care can try to correct. These are benign paroxysmal positional vertigo (BPPV) and cervicogenic vertigo. By far the most common type of vertigo is BPPV. Chiropractors are trained to differentiate between these types of vertigo using orthopaedic tests and to rule out other potential causes of dizziness (and refer if necessary). Treatment for vertigo caused by other conditions depends on the individual case. It is important to determine the cause of dizziness such that an appropriate solution is found. Ménière’s disease patients can benefit from a low-salt diet. Treatment for vertigo associated with migraine headaches (which may also be related to poor neck mechanics, cervical osteoarthritis or advancing spinal disc disease) should include dietary changes, such as reduction or elimination of aspartame, chocolate, alcohol and caffeine, in addition to exercise, soft tissue and osseous mobilization techniques, stress reduction, adequate sleep, and vestibular rehabilitation exercises. Vestibular neuronitis and labyrinthitis, which are often attributed to viral infections, can also be treated with vestibular exercises. Working with your doctor of chiropractic to improve postural issues can also bring relief to the patients whose vertigo is exacerbated by sedentary lifestyle or working in certain positions for extended periods. In patients with cervicogenic vertigo, a general ergonomic assessment of work and life activities can help identify the factors contributing to the problem. Vertigo can be caused by many problems, most of which originate in the peripheral or central nervous system. The causes of vertigo that stem from the peripheral nervous system include benign paroxysmal positional vertigo (BPPV), acute vestibular neuronitis, labyrinthitis and Ménière’s disease. Acoustic neuroma, migraines, cervicogenic vertigo and multiple sclerosis are all related to the central nervous system. Click here for a research abstract with respect to " Cervical-induced vertigo may be caused by degenerative or functional disorders of the cervical spine". With respect to cervicogenic vertigo producing dizziness that arises from the neck, irritation or injury to the joints... muscles or ligaments of the neck can overstimulate proprioceptors (nerve endings that detect position sense) in the neck giving rise to vertigo. Insufficient hydration tends to increase the frequency and intensity of vertigo episodes. Insufficient blood flow to the brain (ischemia). Vertigo can also be caused by a wide variety of medications such as antidepressants, anticonvulsants, antihypertensives, diuretics, barbiturates, salicylates (e.g., aspirin), sedatives or hypnotics, some antibiotics taken in high doses over prolonged periods of time can damage the vestibular system, some prescription and over-the-counter cold medicines, and some antibiotics and antineoplastics. Low blood pressure, low blood sugar (hypoglycemia), anemia, anxiety, multiple sclerosis, diabetes mellitus, hypothyroidism, high blood triglycerides, food allergies or gluten sensitivity, and various inner ear problems can also cause or worsen vertigo. Motor vehicle accidents, falls or other types of traumas or illnesses can also be associated with vertigo especially if they cause head trauma. To diagnose the cause of vertigo, your health care provider will perform an examination, including a variety of positioning tests, to check if they will reproduce the sensation of motion. Other tests may also be necessary and will require a referral to medical specialists. Uncomplicated cervicogenic vertigo can be treated and well managed by a chiropractor incorporating: mostly painless and effective soft-tissue and muscle work such as trigger point release or stretching, and/or the Epley. Additionally, spinal and associated joint manipulation and adjustment, physiotherapy modalities and/or low-level laser acupuncture may also be utilized depending on the physical examination and any radiological findings. The goal is to balance the biomechanics of the neck and associated soft-tissues in order to promote a more rapid and complete recovery of the damaged tissues and any abnormal postural mis-alignments. For Benign Paroxysmal Positional Vertigo (BPPV), the Semmont’s Maneuver or Epley’s Maneuver can be utilized (see below). The treatment used obviously depends on the cause. Don't rely totally on symptomatic relief such as taking tablets for this condition is not always the answer. That is why the chiropractor has to do a thorough consultation and examination when prospective patients first come in for treatment. In some cases a referral to your physician, neurologist or an ear/nose/throat (ENT) specialist may be required for further assessments especially if any 'red flags' are presented (see below). But, the good news is that the most common causes respond well to conservative care. By itself, vertigo is usually benign. However, if a patient experiences symptoms such as double vision, slurred speech, difficulty swallowing, numbness, nausea and/or unsteadiness when walking, (even if temporary), they should seek immediate emergency medical care. patients experiencing progressive worsening of symptoms or dizziness accompanied with fever and/or infection should also see a medical doctor. 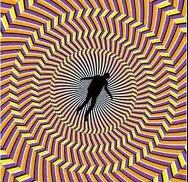 Vertigo - a sense of dizziness or spinning. About 65 percent of vertigo is diagnosed as Benign Paroxysmal Positional Vertigo (BPPV) that comes and goes based on head and neck position. When triggered, the dizziness can last a few seconds to a few minutes or even longer. Symptoms are commonly triggered by rising from sleep, tilting the head, rolling over in bed, looking up or sudden head motion. This type of vertigo is related to an inner ear problem and the most common cause is a sudden trauma (like a fall). BPPV is usually treated through the Epley maneuver—a procedure in which the patient is rapidly moved from lying on one side to lying on the other, to move the calcium debris to a less sensitive location in the inner ear. Studies show that up to 80 percent of patients recover after a single treatment with Epley maneuver. However, most BPPV cases respond to two to three treatments with Epley. Epley maneuver is contraindicated in patients with severe carotid stenosis, heart diseases and severe neck problems, such as cervical spondylosis with myelopathy or advanced rheumatoid arthritis. Even without treatment, BPPV tends to resolve in weeks or months and also has a tendency to recur. Vestibular rehabilitation exercises (called the Brandt-Daroff exercises) can also be performed at home to help treat BPPV. BPPV is an inner ear condition that causes brief severe episodes of vertigo feeling like the room is spinning. While it can occur in children, the older you are the more likely it is that your dizziness is due to BPPV. About 50% of all dizziness in older patients is due to BPPV. The inner ear is responsible for balance and motion sense of the head. Within the labyrinth of the inner ear are floating calcium carbonate crystals called otoliths (otoconia, or “ear rocks”). In BPPV, the otoliths are dislodged from their normal position and migrate into the semicircular canals. The semicircular canals are oriented at roughly ninety degrees to each others. They are filled with fluid called endolymph and also have sensory receptors that are stimulated during head movement to provide motion sense and balance. In BPPV, crystals in the semicircular canals are dislodged and stimulate sensory nerve receptors adversely giving rise to feelings of motion (vertigo) when there are none. Generally about 20% of all cases of dizziness are due to BPPV and about 50% of all dizziness in older patients is also due to BPPV. Other common causes include acute vestibular neuronitis or labyrinthitis. In half of all cases, BPPV is called "idiopathic," which means it occurs for no known reason. The most common cause in the under 50's is head trauma and whiplash injuries, which may eventually develop into or aggravate vertebral degenerative disc disease (osteoarthritis) of the neck (cervical spine) vertebrae. In older people, the most common cause is degeneration of the vestibular system of the inner ear and BPPV becomes much more common with advancing age. Neurological diseases such as MS.
With these conditions there are other symptoms present as well and they are normally picked up in the chiropractic and neurological examination, sometimes requiring a referral for medical follow up. A firm diagnosis and the right treatment can help you get rid of this disabling condition, and quickly. BPPV frequently goes undiagnosed and is treated symptomatically with medically prescribed drugs such as Stemetil and Compazine (prochlorperazine), a sedative, which can make you feel very tired. If you are prescribed this drug you should not operate machinery or drive, and, it can have many other side-effects. A feeling of imbalance and nausea. The symptoms usually start suddenly and often when waking from sleep. Episodes are triggered by changes in the position of the head such as getting out of bed or turning over in bed, tipping your head back to look up and certain Yoga or Pilates positions such as the 'down dog'. Chiropractors are able to diagnosis this condition after taking a full case history and performing a physical and neurological examination. Specific tests, such as the hallmark 'Dix-Hallpike Maneuver', if positive, is used to differentiate peripheral from central vertigo. This test will reliably provoke the vertigo and cause rotary or horizontal nystagmus (involuntary eye movement). It also determines the side of ear involvement. Click here to view the Dix-Hallpike Maneuver to test and diagnose BPPV dizziness. IMPORTANT: Please note that feeling dizzy in the absence of Nystagmus is not considered diagnostic for BPPV. Eye twitching MUST be present for BPPV to be diagnosed. BPPV can be corrected using either Semmont’s Maneuver or Epley’s Maneuver. These maneuvers are simple and well tolerated in the majority of patients. The chiropractor will assist the patient to slowly move their body, head and neck into specific and appropriate 're-positioning' positions depending on what has previously been found in the assessment. Using gravity, the floating calcium carbonate crystals (otoliths) in the endolymph of the semicircular canals that stimulate the sensory nerve receptors are encouraged to move away into the correct location in an area of the inner ear where they will, hopefully, cause no further symptoms of vertigo. Following the procedure, the patient is instructed to avoid sudden movements and to sleep for 2 nights in a recumbent position. This procedure has a 90% success rate and often only one treatment is required. If the dizziness returns, the procedure is repeated. If chiropractic care requires adjunctive therapy, then the chiropractor may also recommend a medical referral to a qualified physiotherapist (PT) or an occupational therapist (OT) to provide an assessment and develop an individualized treatment plan called Vestibular Rehabilitation Therapy (VRT) (Vestibular Physiotherapy) that includes specific head, body, and eye exercises to be performed both in the therapy setting and at home. Click here to download the "Vestibular Rehabilitation Therapy (VRT)" publication. Click here to watch a demonstration of the standard 'Epley' Maneuver to treat Posterior Canal BPPV for patients with 'rotatory/torsional' nystagmus. Click here to watch a demonstration of the Epley Maneuver called the 'Lempert (BBQ)' Maneuver to treat Lateral Canal BPPV for patients with 'lateral/horizontal' nystagmus. Click here to watch a demonstration of the Epley Maneuver called the 'Deep Head-Hanging' Maneuver to treat Superior Canal BPPV for patients with 'vertical' nystagmus. The treatment is very effective and within 3-4 treatments, 80% are symptom free. The symptoms can recur and research shows a relatively low recurrence rate of about 15 percent per year. Alcohol, nicotine, fried foods and excessive salt intake are potential sources of trouble for patients of vertigo. Vincopectine, vitamin B6 and ginkgo biloba may be helpful in reducing vertigo. Chromium may be helpful in patients whose vertigo is caused by a blood sugar imbalance. Physical exercise and meditation, adequate sleep and other stress reduction techniques can all help contribute to recovery from vertigo and should be a part of the treatment regimen. Your doctor of chiropractic can help create an appropriate exercise program for you and counsel you regarding healthy lifestyle and stress relief. Click here for link to vertigo and pain caused by neck movement and problems with the spinal neck vertebrae. Click here for link and video: "Colorado Doctor Discovered Natural Way To Treat Common Vertigo". Click here for Vertigo BPPV Treatment with Simple Self-Directed Exercise. Click here to read a well written booklet that provides information on dizziness and balance problems. Click here for an important systematic review regarding "Manual therapy with and without vestibular rehabilitation for cervicogenic dizziness." Click here for a case report on the effectiveness of chiropractic management of a patient suffering with BPPV. the treatments that might help. Sources of further support and information are listed in the Useful Contacts section. Chiropractic treatment might not be the first thing you think of if you have dizziness, but the maneuvers and treatment used is the same as you would have if you go to medical clinicians who specialize in these conditions. Chiropractic is not suited for all types of dizziness, but if we can't help you we will refer you back to your medical physician for further testing and a possible referral to a neurologist. falls within the scope of Chiropractic care.